This page is designed to provide help and assistance to students seeking information on Lawson State's online registration process. Scroll down to view our tutorials and/or visit our Help Desk for more information and support. Students who have holds on their accounts will NOT be able to register online. All students should register for classes (online) the semester before classes begin. Never wait until the last minute to register. Always register early. Registration Tutorials are for information purposes only. For more detailed and specific information, see your Advisor. 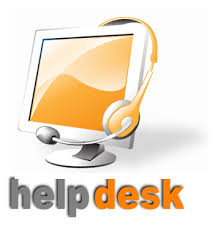 You can contact the Help Desk on either campus (during the first week of classes). Click on the STARS logo below and review all information and tutorials. Learn about STARS from a Lawson student's perspective. This is a great video. Lawson State has an eWithdrawal process for students struggling academically. Students can withdraw from any course online (without academic penalty) within a select period of time designated by the college and printed with the Academic Calendar. Students should NEVER use the withdraw process as their first option. Rather, withdrawing should be used as a last option only. See your advisor and instructor (always) before withdrawing. Adding and Dropping courses is different. Students add and drop courses during the scheduling process. Click on the link below to learn more about the eWithdrawal and Adding/Dropping process at Lawson State and watch the tutorial below. Click on the links below to learn more about your actual degree program or select one below that is close to your major. The key is learning how to interpret degree plans.